So, it's warmed up a bit here, I can dispense with the duffle coat for the time being, althtough it's due back any day (the crappy weather, not the coat. It's still here). But it was good to get a quick look at everything this morning and, on a quick once-over, everything's made it, even the tiny Digitalis Obscura seedlings which have their seed leaves and nothing else. The Clematis "Niobe" flowers have been hit hard but the plant itself is ok, except that, rather worryingly the lower leaves have turned yellow/brown. I hope to hell it's not wilt because I have £60 worth of Clematis in that huge pot and if one gets it. That said, they were chosen very much with their resistance in mind do with luck it's just the frost. 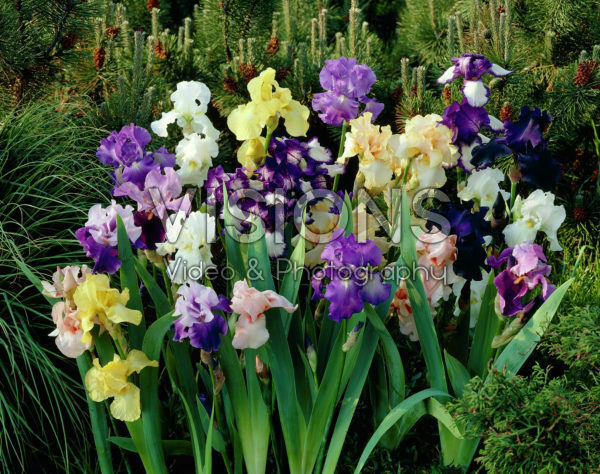 I've been checking out south African (the lower case is deliberate cos it includes Namibia and Botwana too) bulbs after finding that there;s so much more to Gladioli than lime green and screaming pink hybrids. 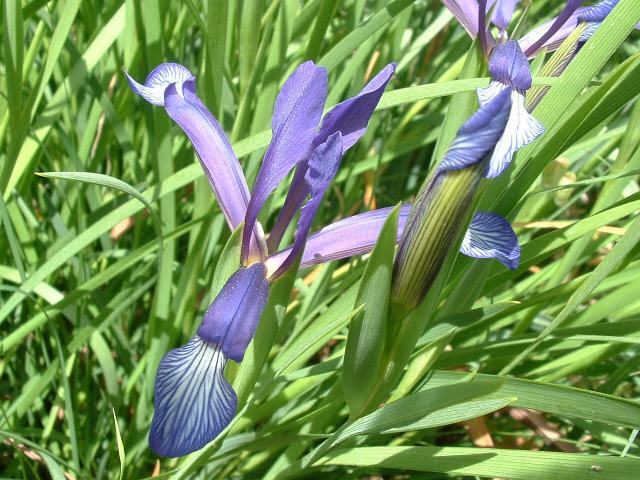 Also very keen on Moraeas, given their Iridacea looks. There are hundreds! 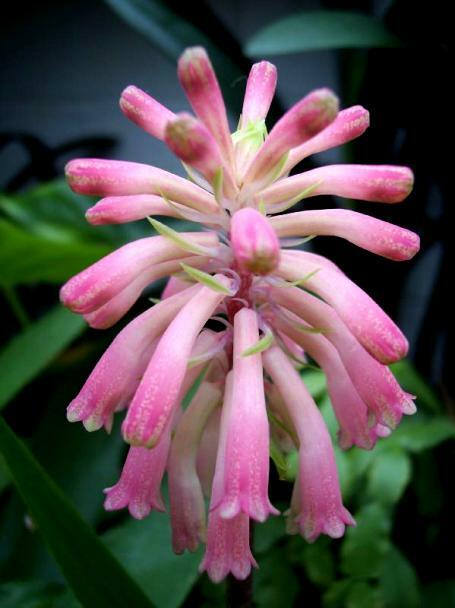 I went on this South African version of eBay, and picked up seed of eight bulbs altogether, just to experiment with really as they're not all hardy and I have nowhere frost-free to overwinter them. 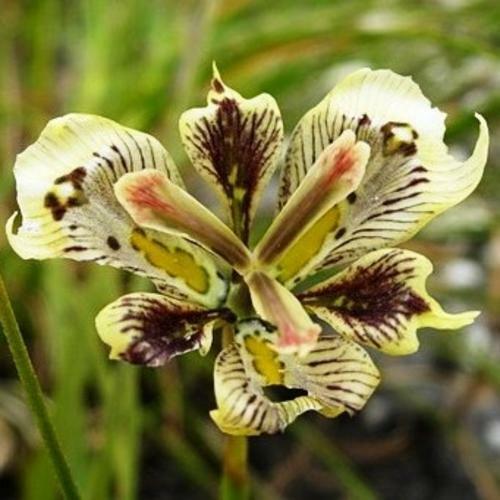 This Moraea papilionacea (there's some debate on the spelling) really caught my eye, at first I thought it was some crazy Iris hybrid I'd never seen! It is however very variable and I could just as easily end up with the brown wonder below. Just have to trust int the old adenine, cytosine, guanine and thymine! 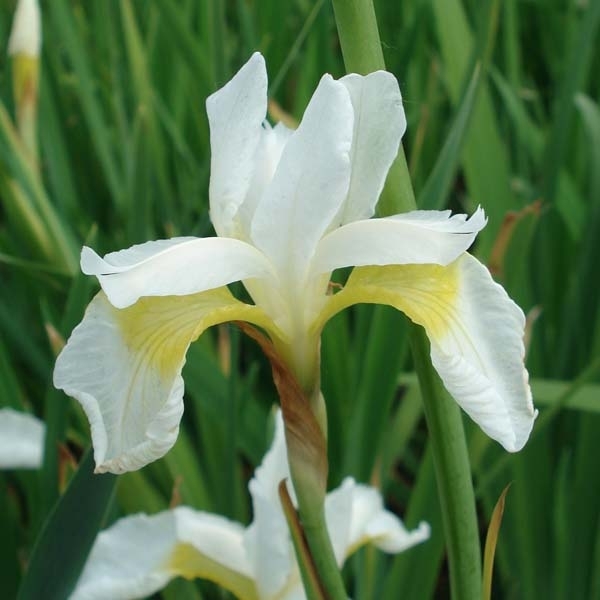 And this one, M. ciliata, you could pass off as a juno Iris to me any day. And I like to think I know a wee bit about this stuff! I can't believe these are the same species but trust me they (probably) are. I think I get 5 seeds for my Rands so that doesn't leave a lot of room for variety but all examples I've seen are lovely. Impatiens omeiana. The variety Ice Storm (slightly deeper yellow) came as a free gift from the supplier of my latest Lily batch after I expressed my frustration at losing the eBay auction for it. Mind you, I had spent about £80 on a few little Lilies! In the meantime, while my 7am dawn trip to the Post Office depot proved fruitless as the useless postman hadn't been bothered to write that I would need to leave 48 hours before collecting my parcel, meaning the plants (I can't think of anything else it could be except the strawberry planter) will sit untended until at least Monday ad most likely Tuesday as I have an appointment in Harley Street on Monday morning ang the small matter of a job to do too. I'm a life-long Labour voter but can we not do something about the PO? I've heard tales of the postmen filling in the red "sorry we missed you" cards before they leave the depot and leaving heavy items behind so they don't have to deal with them. And there is the constant problem of them not ringing the doorbell when they do bother to pick up a parcel. Myself and partner, and many, many of our friends have actually seen the postman write the card, having ignored the doorbell option. 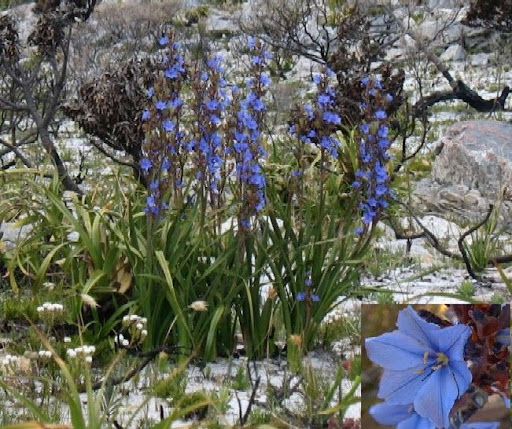 I think it's probably the Hedychium densifolium, Wachendorfia thrysiflora, Dietes Grandiflora and Libertia Grabdiflora, pictured in the previous post, and I'd rather they didn't sit until Tuesday slowly dying. However, such is life. I did get my £80-worth of Lilies from GroWild near Glasgow, who'd been hanging on to them until the weather cleared a bit. Very sensible. 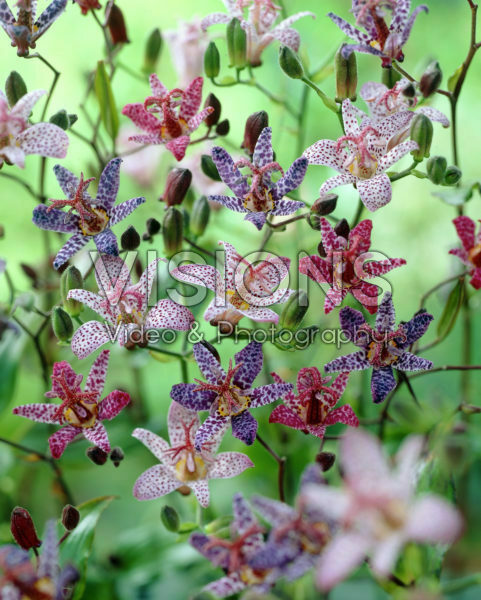 All the Lilies have been potted up in Clematis-style pots using a very complicated growing medium that involves orchid compost, perlite, peat-style compost, grit and slow release fertiliser in an effort to recreate a woodland clearing in Korea (for hansonii) and a meadow in Oregon (superbum). This is a weird one! 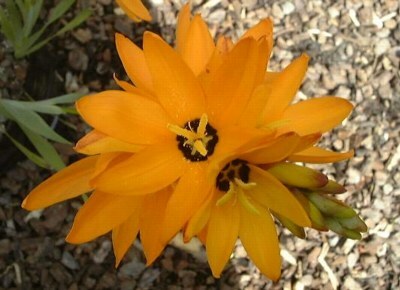 A flowering-sized L. superbum bulb. 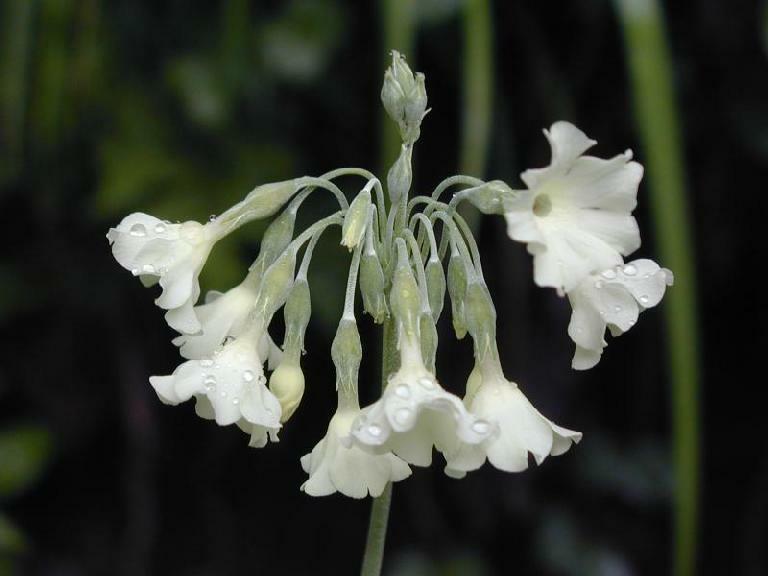 At first I thought I'd been sent a frit by mistake but a bit of research confirmed this is indeed a lily. Gravity is going to have to help out with the roots and shoots cos I couldn't quite work it out! In the meantime I've been buying up seeds like a one-man seedbank. I can't remember whether I told you I'd decided to grow a load of Camelia-flowered Impatiens (Balsamina) to plug some of the inevitable gaps that will appear over the year. I've also got Tropaeolum "Whirlybird" mixed hybrids to plant at the bottom of the four large containers holding the massive hybrid lilies. They do really well here, although when they say they thrive on neglect that doean't include water; their thirsty fellows! For the window boxes and pots I've chosen a cream F1 Petunia as the main building block called "Prism Sunshine". Last year I cheated and bought trays of a stunning red Petunia that made the garden really eye-catching, considering it was the first year. A nice, simple colour. Being me I did consider the new black breakthrough but it was only available as plugs, not seeds, and my finances are not unlimited. I would never normally grow Impatiens, apart from curios such as the one above and there's a blue one I want too. But these sounded quite fun to fill a few gaps (what gaps!?) and help bring a bit of first-year colour to my friend Linda's garden, which is a blank canvas right now. 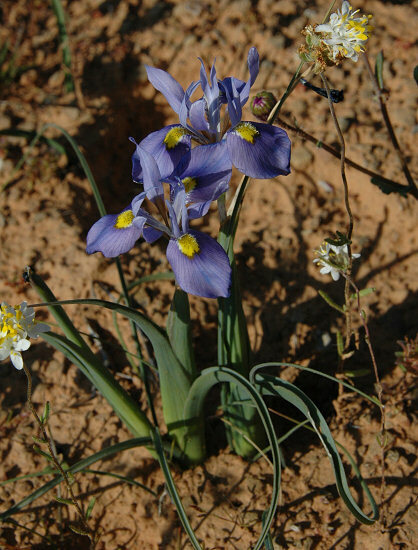 Right, that's enough Irises for a day, the rest are largely tender/marginal and bulbous, continuing to mine a rich seam of mostly southern African beauties. 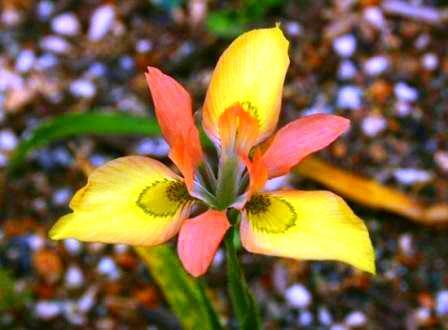 Moraea equitans. 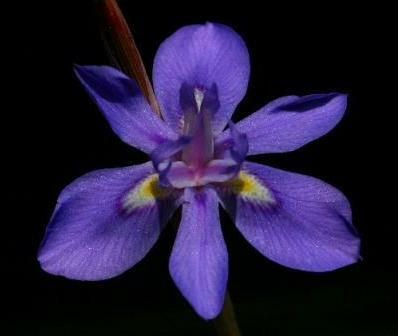 No, that's not a Moraea, it's a Glad isn't it? hang on ... 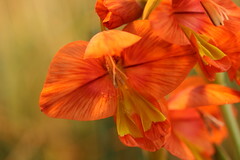 It's Gladiolus equitans. Easy mistake to make. It's being here is irrelevant as I'm not growing it but it's quite pretty so let's just leave it, eh? 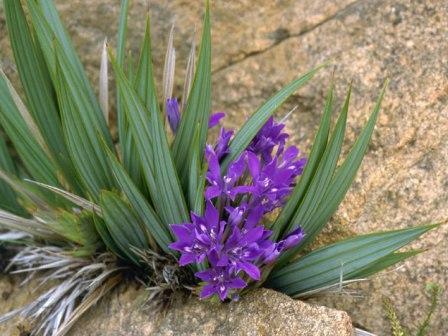 Watsonia knysnana. Please don't ask me to say it. So I've been a bit profligate again but there will always be someone at the office willing to give a home to any overspill. The auriculas are for the strawberry tower (which has yet to arrive, pretty poor performance from greenfingers.com considering that, in the time since I ordered it, a package has been sent and arrived from South Africa, an order of Lilies made it through the snow of the Scottish central belt to London in a day, and countless orders have been placed and delivered.